Southport: T. Wilbur Clark, 89, died Monday, October 29, 2018, at Novant Health Brunswick Medical Center. He was born in Granville Co, the son of the late Robert Clark and Lillie Mae Clark. He was preceded in death by his wife, Daisy Hobgood Clark and brother, Nelson Clark. 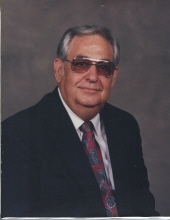 He owned Clarks Grocery and was employed by American Express Travel Related Services. In his retirement years he enjoyed fishing and growing tomatoes. Mr. Clark is survived by his daughter, Wanda Brafford and husband Brad of Southport; brother, A.B. Clark of Durham and granddaughter, Lauren Umbarger of Germany. A funeral service will be held 11 a.m., Thursday, November 1, at Clements Funeral Chapel in Durham with Pastor Manley Palmer, Jr. officiating. Burial will follow at Woodlawn Memorial Park. The family will receive friends prior to the service from 10 to 11am at Clements Funeral Home. In lieu of flowers, memorial donations can be made to Duke Homecare & Hospice, 4321 Medical Park Dr, Ste. 101, Durham, NC 27704. To send flowers or a remembrance gift to the family of Thomas Wilbur Clark, please visit our Tribute Store. "Email Address" would like to share the life celebration of Thomas Wilbur Clark. Click on the "link" to go to share a favorite memory or leave a condolence message for the family.